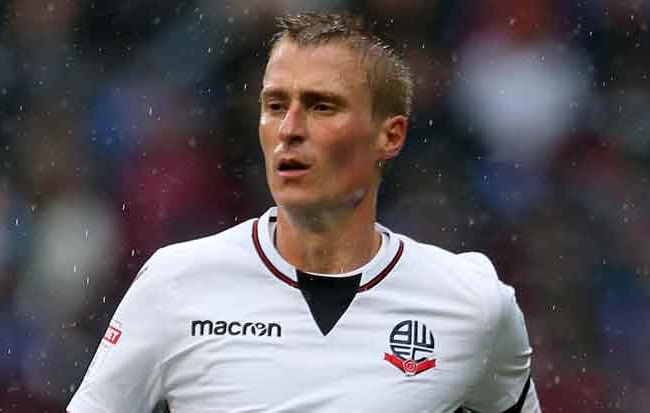 Tough news is filtering through today that Bolton defender Stephen Darby has announced his retirement from football, aged 29, after being diagnosed with motor neurone disease. The former right-back, who began his career with Liverpool before going onto make over 230 appearances for Bradford under current Bolton manager Phil Parkinson, received the diagnosis from a specialist recently having not played since December. Parkinson described Darby’s enforced retirement as “heart-breaking”, heralding the defender as an “outstanding professional and a fantastic person”. Many other ex-footballers have been diagnosed with MND, with Fernando Ricksen (once of Rangers), Lenny Johnrose (Blackburn, Bury), David Hagen (Falkirk) all struggling with a debilitating condition that also ultimately claimed the lives of Don Revie, Rob Hindmarch, Willie Maddren, and former Celtic winger Jimmy Johnstone over the years. Now I know why he was such a rubbish player.